Special reminder: Due to the risk of manual operation for token swap, users who are familiar with the token swap process or want to experience the performance of the new mainnet could participate in the token swap on the official website, other users can wait for the token swap announcement of exchanges and digital currency wallets. The team is not responsible for the loss of crypto currency caused by user misoperation. Please act cautiously. Please carefully read the following token swap steps and notes. 1. 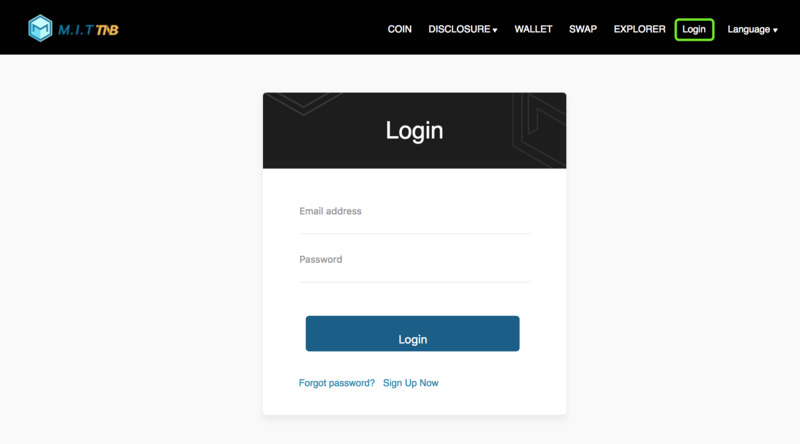 Register on the TNB official website (https://tnb.fund) with email (If you don’t have an account, please register and verify the email). 2. 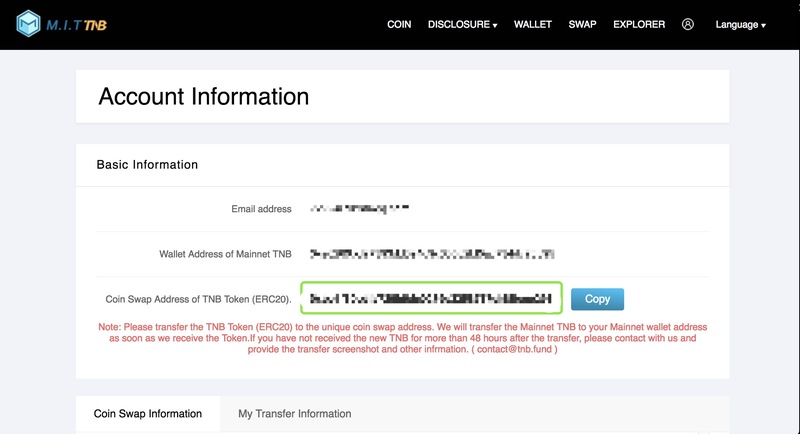 Enter the interface of token swap, please read the important notice first, then enter the mainnet wallet address (if you don’t have the mainnet wallet address, please create one) and submit, the system will automatically generate a token swap address for you which is used for recycling the TNB Token. 3. 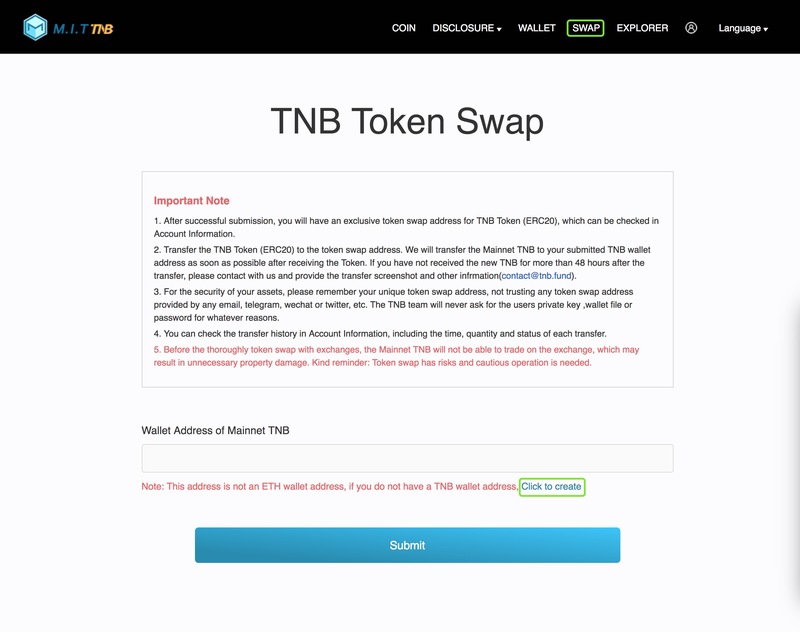 Transfer the TNB Token to the token swap address that generated in step 2. 4. The system will swap the TNB Token with the mainnet TNB within 48 hours, and transfer it to the mainnet wallet address that you submitted.